Easter Fun Galore in Whatcom County! Easter is just around the corner, and whether you have a yearly holiday tradition already or are looking for a new one, here are some local events you might enjoy! 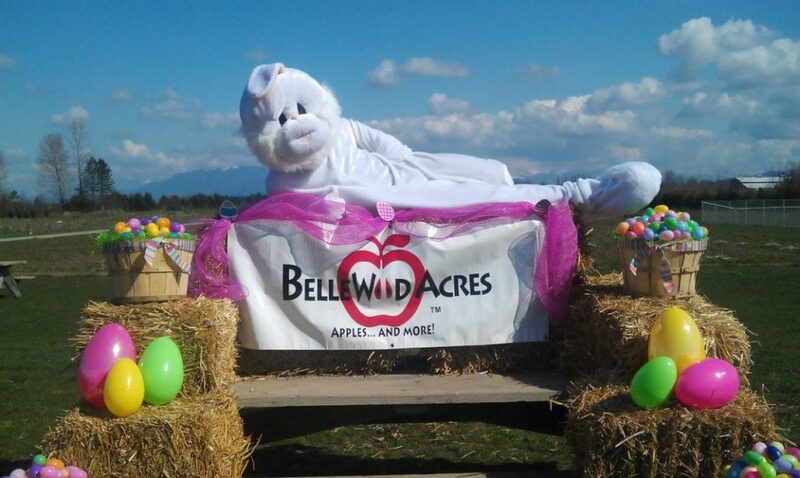 Bellewood is hosting their annual Easter celebration April 20th and 21st on their vast 62-acre farm! Bring the whole family for photos with the Easter Bunny, egg hunts, face painting, pony rides, and even a chance to pet animals at the farm zoo. Lots of fun to be had along with their made from scratch apple cider donuts and live folk music! 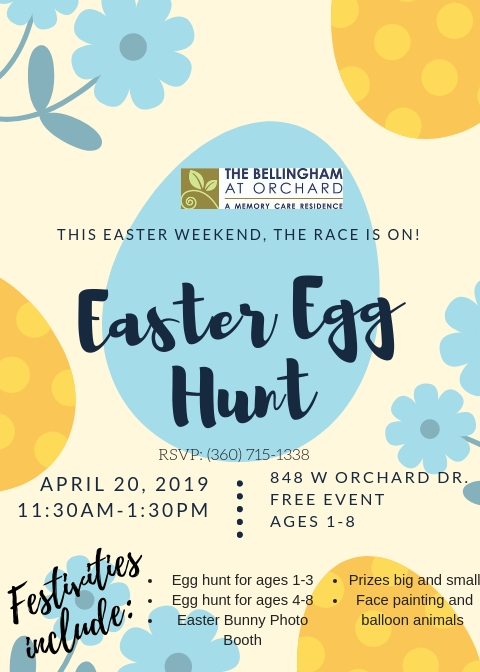 The Belingham at Orchard Memory Care will be hosting a free easter egg hunt on Saturday, April 20th for ages 1-8. The event will feature face painting, balloon animals, pictures with the Easter Bunny, and lots of treats and prizes of course! For more options, check out 10 of the BEST Easter Egg Hunts in Whatcom County this year!